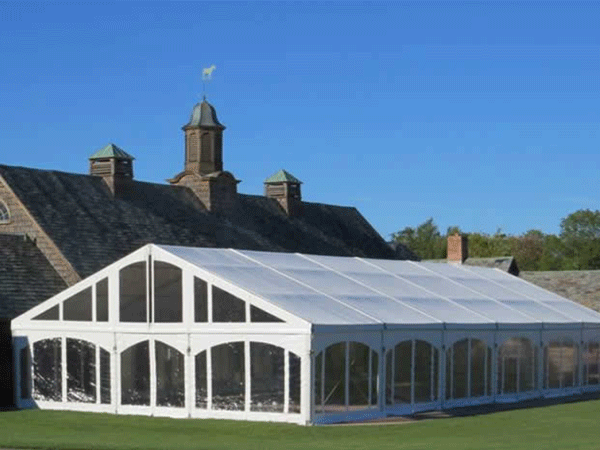 The Frame Tents is available in 20m, 25m, 30m, 40m up to 100m widths in any length continuous in 3.0m bays This series is suitable for many different occasions including family celebrations, corporate functions or storage tent. Here are just one or two ideas as to how you can get the most out of your Frame Tents. 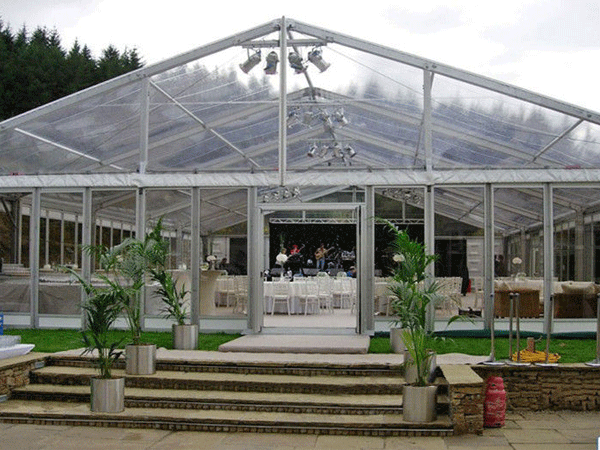 We are Top Manufacturers of Tents. We can be your one-stop service for all your project need or requirement. Whether you are organizing an exhibition, concert, wedding party event, sport stadium, outdoor catering event etc. 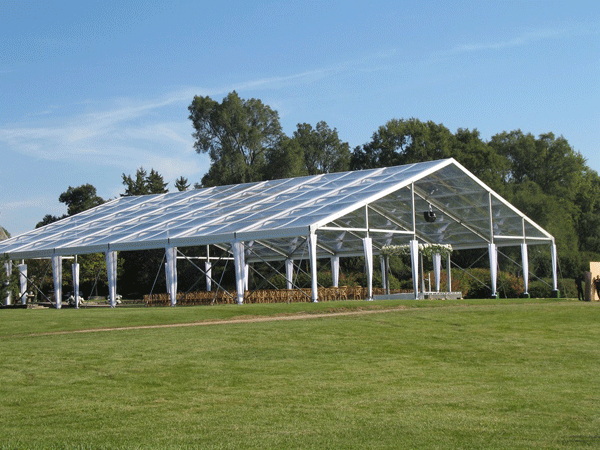 Frame Tents can be adapted to meet all the requirements of your project be it customize tents or tent accessories. We also manufacture and supply our customers with one stop tent accessories to complement the tents you have purchased. 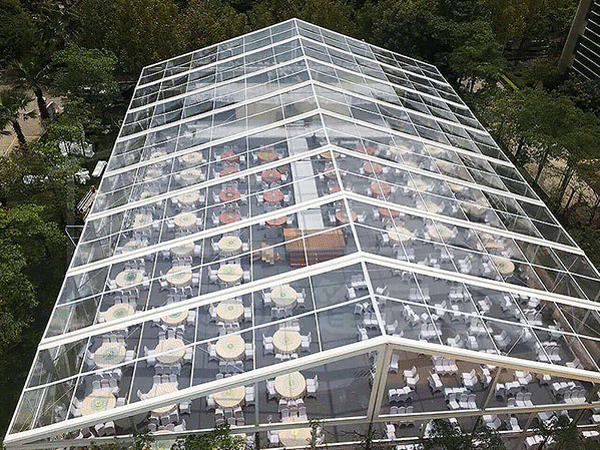 Some of our tent accessories include Plastic Chairs, Tiffany Chairs, Gold Tiffany Chairs, Black Tiffany Chairs, Silver Tiffany Chairs, Clear Resin Tiffany Chairs, Wimbledon Chairs, Phoenix Chairs, Ghost Chairs, Channel Chairs, Chiavari Chairs, Chinese Chairs, Bridal Chairs, Party Chairs, Wedding Chairs, Table, Round Table, Plastic Folding Tables, Steel Folding Tables, Chair Covers, Draping Material, Mobile Chillers, Mobile Freezers, Tarpaulin Tarps, Movable Toilets, Portable Toilets, Flooring and Gas Stoves. Our tents come in various sizes and in variant colors to choose from. Packaging are done keeping in mind the safety of goods like Hardware are packed in a wooden case, Frame packed in membrane film, Roof and side wall in professional PVC carry bags. We supply our products to countries around the world like – Saudi Arabia, Riyadh, Kuwait, Kuwait City, Qatar, Doha, United Arab Emirates, Abu Dhabi, United States, Washington DC, San Marino, San Marino, Switzerland, Zurich, Geneva, Ireland, Dublin, Brunei, Bandar Seri Begawan, Singapore, Pulau Ujong, China, Beijing, Hong Kong, Shanghai, Guangzhou, England, Birmingham, London, Manchester United Kingdom, Germany, Berlin, Norway, Oslo, Russia, Moscow, Sweden, Stockholm, Australia, Sydney, Adelaide, Melbourne, Perth, Canberra, Brisbane, Newcastle, Gold Coast, New Zealand, Auckland, Christchurch, Dunedin, Queenstown, Mauritius, Port Louis, Seychelles, Victoria, France, Paris, Netherlands, Amsterdam, Italy, Rome, Belgium, Brussels, Austria, Vienna, Spain, Barcelona, Madrid, Denmark, Copenhagen, Afghanistan, Albania, Algeria, Andorra, Angola, Argentina, Armenia, Aruba, Bahamas, Bahrain, Bangladesh, Barbados, Benin, Bhutan, Bolivia, Bosnia and Herzegovina, Botswana, Brazil, Bulgaria, Burkina Faso, Burma, Burundi Cambodia, Cameroon, Canada, Chile, Colombia, Comoros, Congo, Cyprus, Djibouti, Egypt, Ethiopia, Fiji, Finland, Gabon, Gambia, Ghana, Greece, Hungary, Iceland, India, Iran, Iraq, Israel, Jamaica, Japan, Jordan, Kenya, Lesotho, Liberia, Libya, Macau, Madagascar, Malawi, Malaysia, Maldives, Mali, Mexico, Monaco, Morocco, Mozambique, Namibia, Nepal, Niger, Nigeria, North Korea, Oman, Pakistan, Paraguay, Peru, Philippines, Portugal, Romania, Rwanda, Sierra Leone, South Africa, Sri Lanka, Sudan, Swaziland, Syria, Tanzania, Thailand, Togo, Tonga, Tunisia, Turkey, Uganda, Ukraine, Uruguay, Uzbekistan, Venezuela, Vietnam, Yemen, Zambia, Zimbabwe. What comes first c or y?